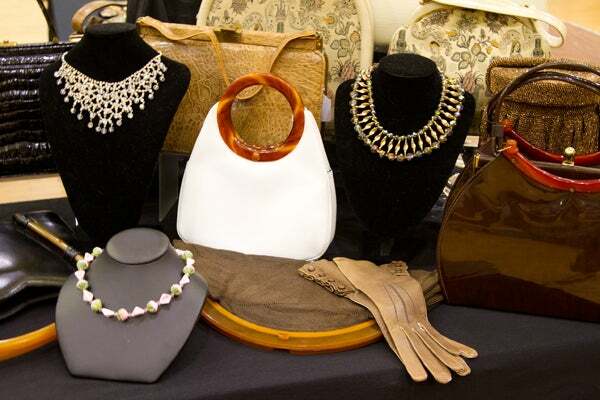 The Randolph Street Market is taking place this weekend (July 27 and 28), and this month, there's so much more going on than eight acres of vintage goods alone. Perfect for the scorching temps, the theme is "Made in the Shade." Along with lots of "cool" merch (think vintage sun hats, suits, and rad bar and picnic sets), expect frosty cocktails from Market Bar, fruit smoothies and iced lattes from Windy City Espresso, Good Humor bars from Krave, a Beer Garden, and a "Shade Shack" dispensing margaritas. Yep — we're so there! And if you're looking for some serious home design inspo, don't miss Randolph Street Market founder Sally Schwartz’s VIP Made in the Shade Cabana designed by Kenneth Ludwig, founder of the Merchandise Mart showroom. While you may be possessed to buy more than your fair share of goodies this time around, the market does only come around once a month. The market takes place from 10 a.m. to 5 p.m. on Saturday and Sunday. Check out the Randolph Street Market website for tickets, parking information, and the schedule for free trolley transportation. Where: Randolph Street Market at Beaux Arts Plumber’s Hall, 1340 West Washington Street (at Randolph Street); 312-666-1200.